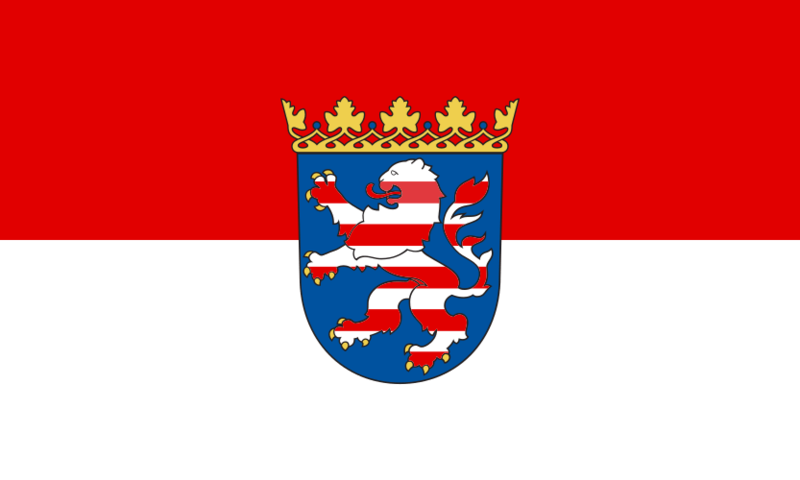 The flag of the German State of Hesse consists two horizontal bands of red and white with the state’s coat of arms in the center. The coat of arms consists of a red and white striped lion on a blue shield. The colors red and white are historical colors of the Ludovingian dynasty, who ruled the region in the 11th, 12th, and 13th centuries. The coat of arms is also based on the Ludovingian coat of arms. This flag was adopted in December of 1948.